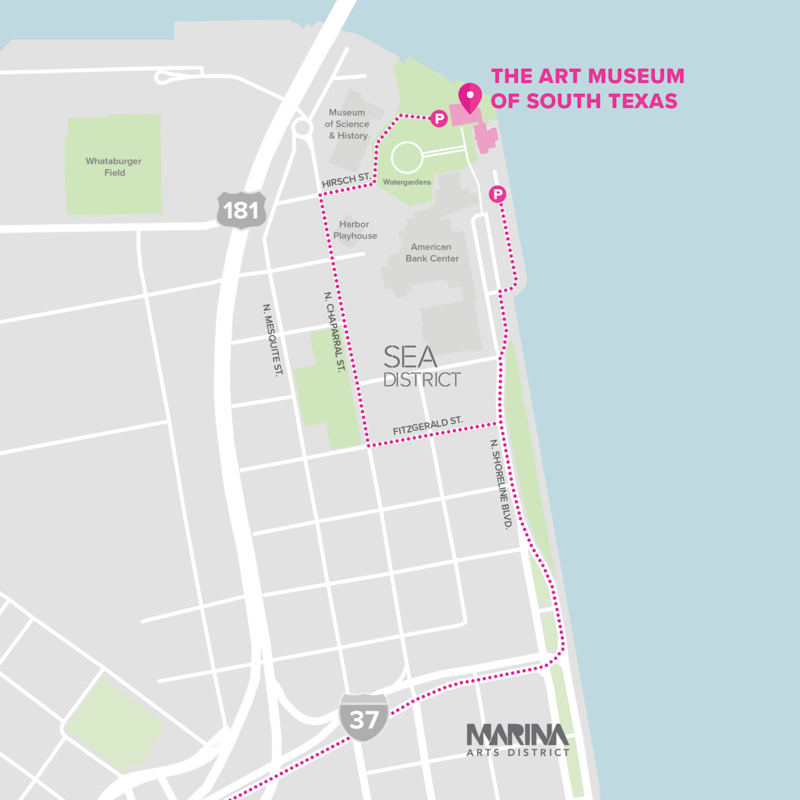 The Art Museum of South Texas brings the world of art at affordable rates. Students with a school ID enjoy additional discounts. All art galleries are wheelchair accessible. A limited number of wheelchairs are available for guest use. Restrooms on the main floor of the Philip Johnson Building and the Miller building are wheelchair accessible. Please call 361-825-3500 for special arrangements for visitors with physical limitations. ADA compliant parking in every parking lot. The Art Museum of South Texas is closed on Mondays, Christmas, Thanksgiving, and various other holidays. Admission is completely free for members along with plenty of other exclusive benefits, gatherings, and receptions. You and your family will be able to find parking in the two lots at our facility with the best accessibility to enjoy the wonderful art within our doors. The Art Museum of South Texas happily provides ramps, handicap parking, and easy access to each of their patrons! Come to the Art Museum today!